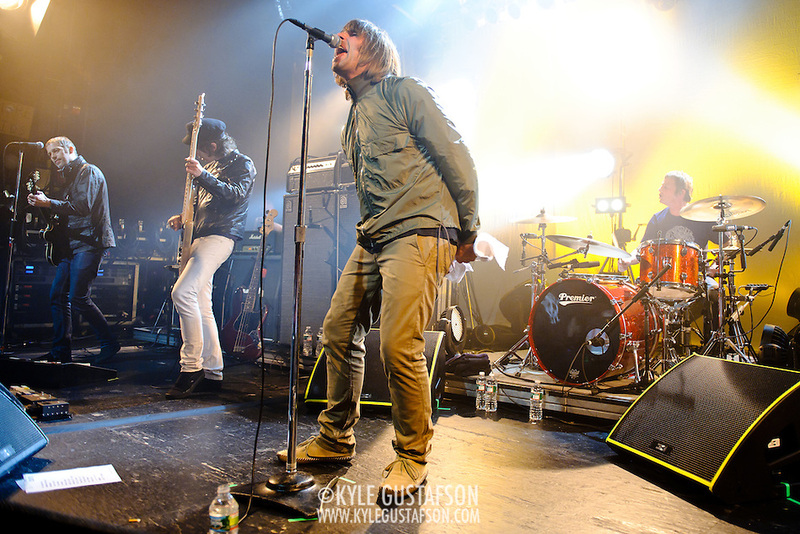 I was so happy when Liam Gallagher’s new band Beady Eye announced they would be coming over to the States in June for their inaugural tour of the US, but sadly there was no date in Washington, D.C. That meant it was time for a road trip. The wife and I packed a weekend bag and hopped on the train for a weekend in the City of Brotherly Love. 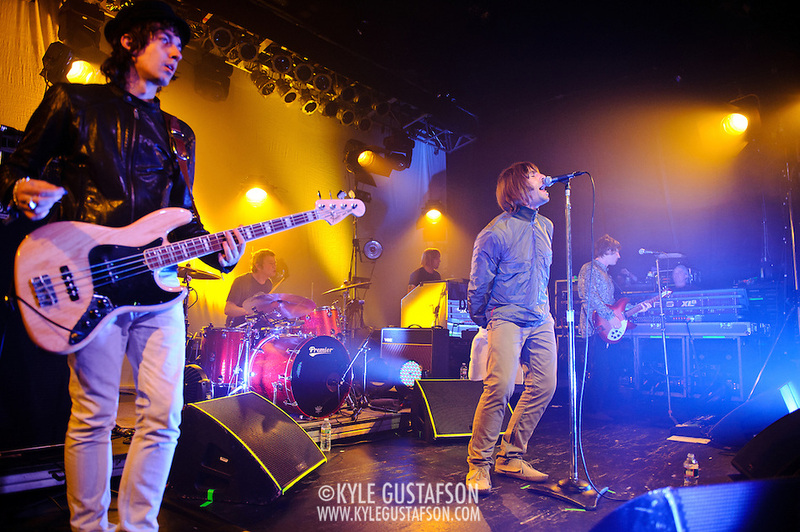 I had been to the TLA twice before, once seeing the Super Furry Animals, and once seeing the Seahorses and Mansun. This was my first time shooting a show there though. It’s a great club, sort of like a smaller 9:30 Club. The band brought their own lighting system so I knew lights wouldn’t be an issue, so when I got to the venue and found out there would be a photo pit that night, I knew it would be a good night. And indeed it was. 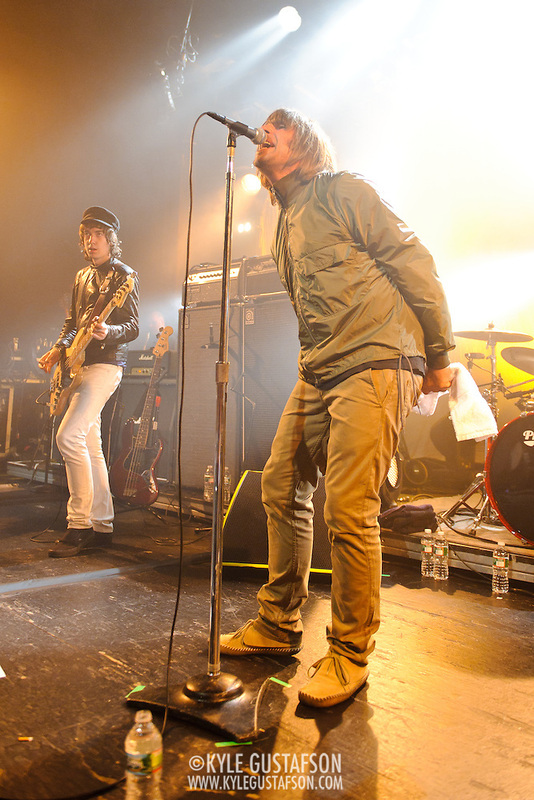 Being mere inches from Liam Gallagher is exciting enough, but Beady Eye were brilliant. 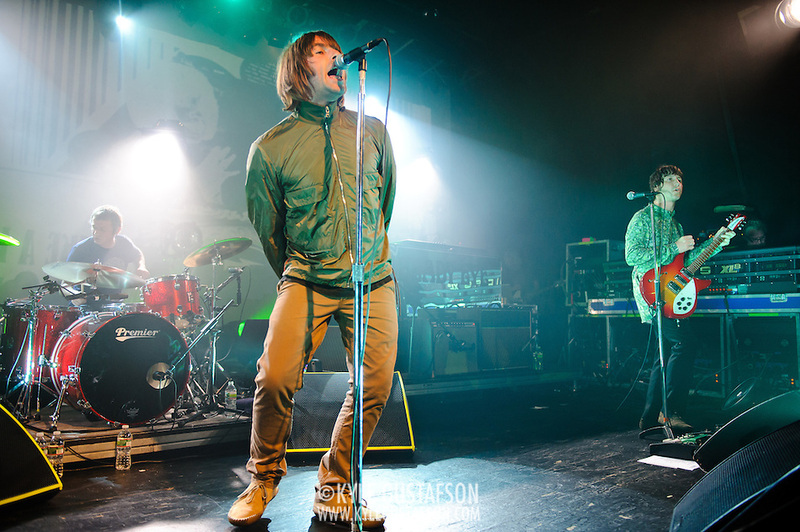 Liam has a pep in his step not seen since before Be Here Now. 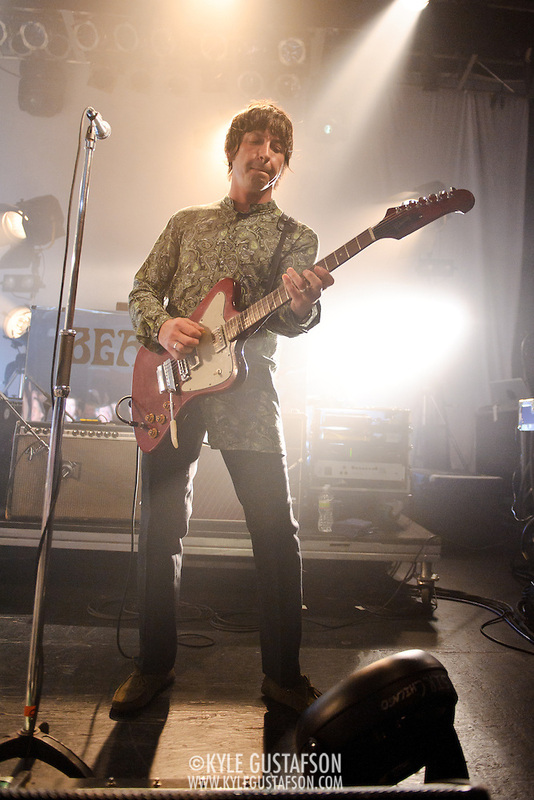 I think he’s ready to put in the work to make Beady Eye a success and it shows in the band’s live gigs. 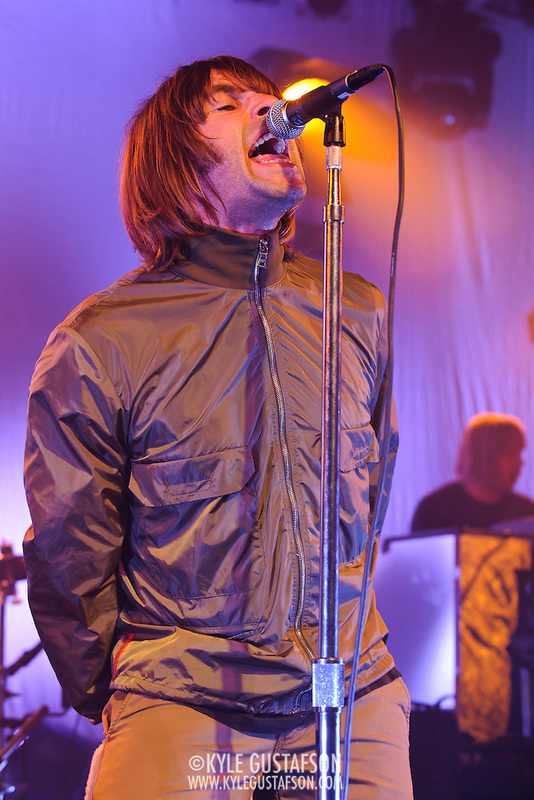 His singing has been a bit haggard on the last few Oasis tours, but he hit all the notes Saturday, even the long ones. 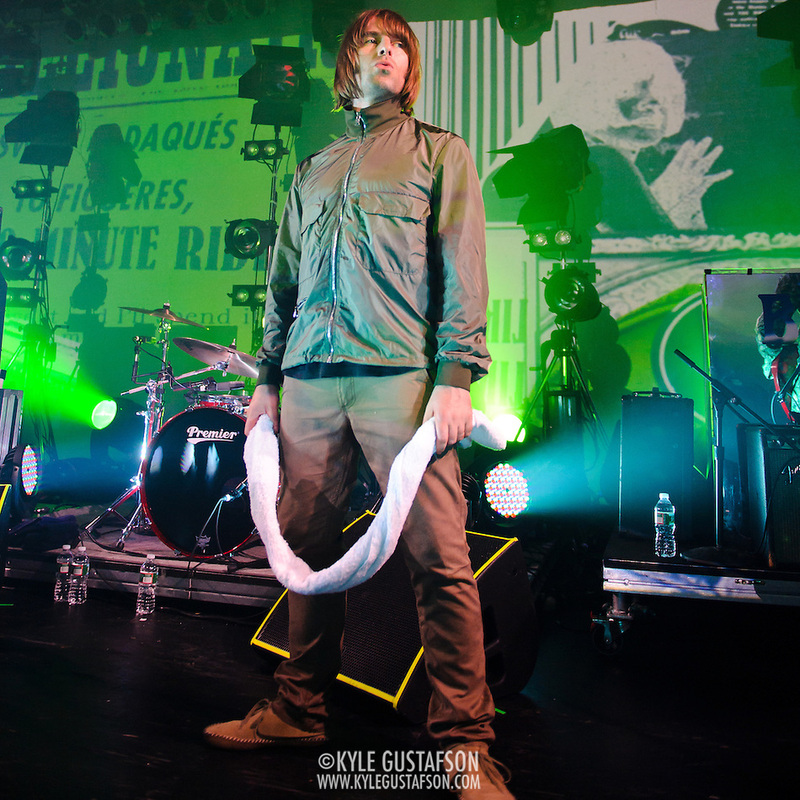 I only got to shoot Oasis once (well twice if you count the V Fest in Toronto) so it was a real treat to get to see and shoot Liam in such a small venue. 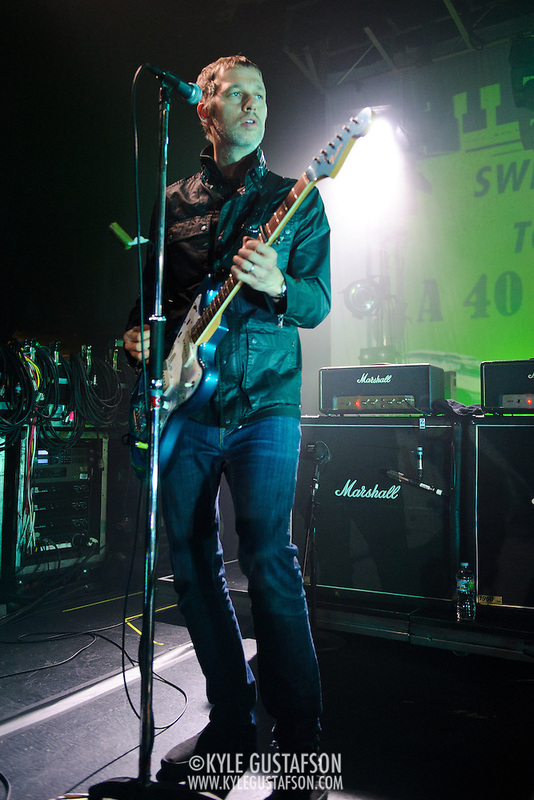 I shot this gig with my usual concert set-up, a Nikon D3 with a 24-70/2.8 and a Nikon D700 with a 70-200/2.8. Like I said, the light was great, so that wasn’t an issue. We were given the standard first three/no flash guidelines along with a strange request that none of us photogs could have bags in the pit. 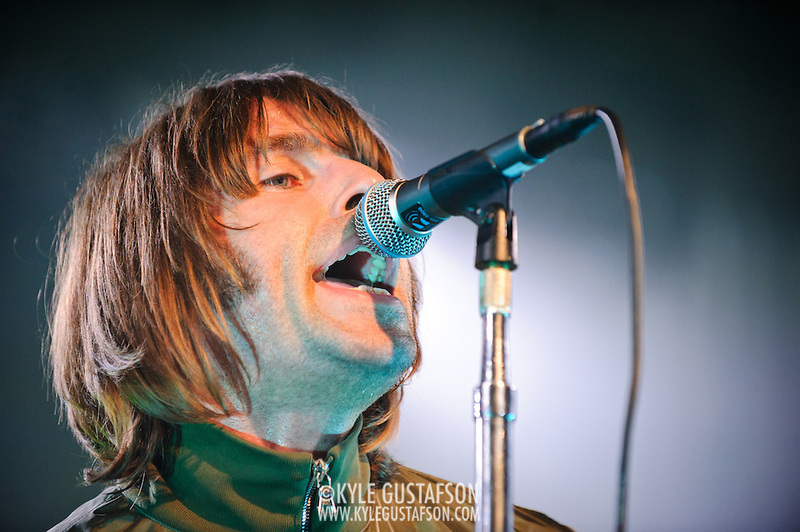 Shooting Liam isn’t exactly difficult. He’s legendary for hunching down in one spot and just singing. It is, however, a bit of a challenge to get his stage presence to translate into a photograph. The wrong framing can make him look like he’s simply hunched over at the mic. But I found the best way to shoot him is to set up to the side of him and try and time my shots for when he would inhale and start singing. He generally draws a large breath before he starts to belt it out, so that would be my cue. I would try and time my shots for that moment. 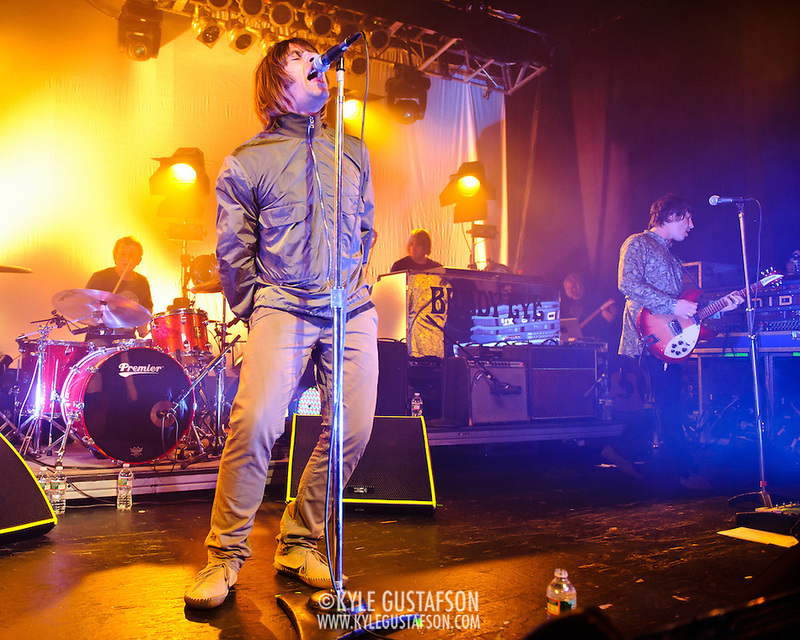 Word on the street is that Liam and Beady Eye will be back in November to do a West Coast tour. I have plans to be out that way around then, so hopefully our schedules will sync up! Full photo set below (head over to my Photoshelter gallery to see these photos in a full-size slideshow). As always, click on any photo to purchase prints. Lastly, do not re-use these images elsewhere without my permission.